More foreign businesses moved to Vienna in 2013 than in any previous year according to figures released by the city. 133 foreign companies relocated to the city, compared with 110 the previous year, creating some 700 jobs and about €38 million in investment. More are expected this year now that the Vienna Business agency has been launched to encourage investment. At present the agency is working on 100 new projects. 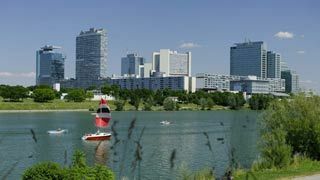 Germany accounted for the largest number of new companies moving to Vienna, with 35. Hungarians were responsible for 12, more than the 10 owned by US businesses and the seven by Russians. Most of the start-ups were in the service sector, although some were in communications and new technologies. The city's deputy mayor thinks that the stability of the city and the organisational help that new start-ups can obtain are among the reasons why companies choose Vienna.